Garrett County in western Maryland is an ideal location for scenic motorcycle rides including the natural surroundings of our lakes, rivers, pastures and rolling mountainsides. There are plenty of places to stop and rest, eat and even stay for awhile. Visit our many state parks for an up close look at our area. Check out the printable PDF below of our routes. 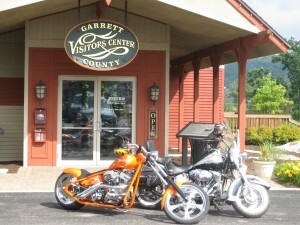 Contact us today to plan your group getaway, rally or bike family reunion to Garrett County.